I think the word ritual gets a bad rap. 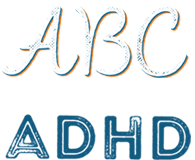 Our ADHD brain will react like a gaggle of wasps just landed on our shoulders. But rituals are simply symbolic systems created to produce the same result. And these rituals, these once-in-a-while habits will save our bacon every time — and they are easy to create once we recognize the need. When I would come home from traveling, whether for work or vacation, I would sink into this depression ten minutes after I got home. The excitement of the trip evaporated once I came home to my messy apartment. Trash was still there. Dishes in the sink. You can imagine the rest. So I made a commitment—if I was ever to be gone for more than 24 hours, the house had to be clean—no chores would be left to do. I make it part of my travel plans. I load up on cleaning supplies. I put on a certain set of music. I get to work. When I feel my ADHD brain get riled I say, “Remember how happy you’ll be? Remember?” Yes, it remembers. I scrub the stovetop harder. When I want to make a friend, an actual friend, I’ll put my hand out and say, “Hey, do you want to be friends?” 100% of the time they shake my hand. I believe friendship is a commitment and should be treated as such. I don’t shake everyone’s hand and I want to make it significant. That’s the way I’m wired. When I finish a book, I put it on the floor and flip it over. It tells my brain that I’m done. I can get rid of the book if I want. I don’t have to read it again. When I’m feeling down and blue, I light a candle and I write 4 or 5 thank you cards and ship them. The ritual of gratitude lightens my heart a great deal. Don’t take these as cures. These are not magic formulas. But a ritual, a decided practice is helpful to fight our greatest foes, our deepest struggles. Put my phone away. Stop checking the thing. Stop caffeine around 7 PM. Make a list of things to work on tomorrow. Make a list of prayer requests. I’ll try some of these and if they don’t work, they get dismissed. I’ll chain as many together that work and incorporate it into my life. And when I feel that typical ADHD resistance, I’ll say, “This is so you feel better. So you can do more things. So you aren’t as stressed.” I try to remember the frustration and remember that the ritual can help be the cure. Which I guess is a ritual in itself.